We cordially invite you to attend the first Input Research Workshop. This workshop will gather together the top researchers in the field. For this first workshop, we hope to discuss the research issues and themes that will drive the field of computer input in the 21st century, explore important problems that we are (or are not) addressing as a research community, and of course explore possibilities for collaboration between multiple researchers to pursue problems beyond the expertise of any one individual. We have approached the editor of Communications of the ACM and she has agreed to consider publishing the outcome of this workshop as a special issue of devoted to the topic of input research in the year 2001. Attendees should submit topics for discussion which they feel will fuel lively discussion. We encourage attendees not to rehash existing specific research efforts but to direct their topics towards more meta issues in the field. At the workshop we will discuss the most compelling topics. Where is the field of input heading? What purpose is it serving? What were the important pieces of research in the past? What does this tell us about the future? What are the "holy grails" of input? What holy grails should we pursue or abandon? What sort of theories do we need to advance in the field? Have tools served us well? What are limitations and areas of development for taxonomies, cognitive models, experimental design, etc? Is there life beyond the mouse? How will future technologies affect input? What forces are affecting input devices in the market place? Why is there such a gap between academic research and industry practitioners? How do we expand the field of input research? What is the biggest problem or technological change that could make our research irrelevant? How could nanotechnology change input? How could biotechnology change input? Please RSVP by Jan 15 if you would like to attend. However, if you are certain you cannot attend please respond as soon as possible. 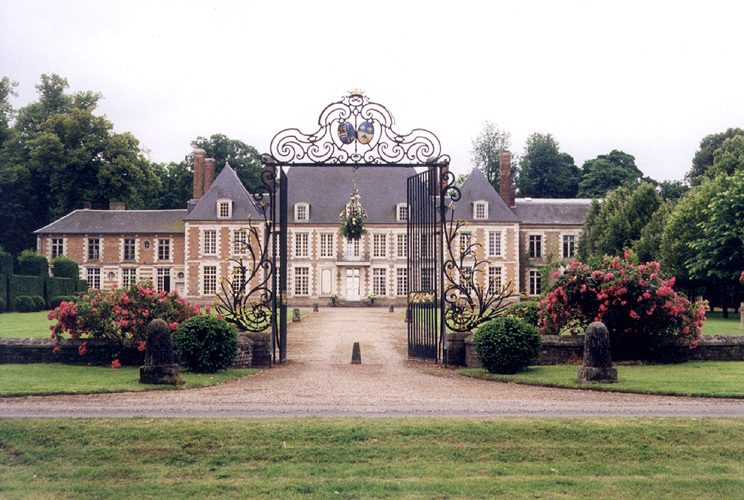 The workshop will take place after CHI 2000 on April 8th to the 9th at Ribeaucourt Chateau in France. Attendees will be welcomed Friday night 7th (at the end of the CHI conference in The Hague) for an informal reception and can leave on Monday 10th morning to catch late-morning flights to America at Roissy-Charles de Gaulle airport. Space is limited and attendance is by invitation only and not transferable. Lodging and meals will available in the Chateau and price includes all meals, snacks and lodging for the duration of the workshop, from April 7th dinner to April 10th breakfast, as well as travel accommodation from and to the Amiens train station (1 hour from Charles de Gaulle airport, 1 hour from Paris, 5 hours from Amsterdam via Paris or Lille). If wishing to leave on Sunday night a deduction will be made for the last night. $750/person for an accommodation in the chateau or in a nearby *** hotel, located close to the XVIIIth century abbey of Saint Riquier. $550/person for a Bed and Breakfast type accommodation: guest room in the nearby village. Prices are the same for a single or double bedroom, Thus accompanying persons will welcomed too. Meals and local sightseeing arrangement will be proposed for them, all at small additional cost to be determined. Unfortunately, lodging space at the chateau is very limited, thus most attendees will have to stay at the proposed hotel or a B&B rather than the chateau. Reservations for additional nights and car rental can be taken care of, in the accommodation type that you choose, as well as arrangements for local sightseeing tours for the remaining of the week of the workshop or for accompanying persons. For attendees coming from North-America and going to CHI and the workshop: we suggest flying Air-France, with a stopover at Roissy-Charles de Gaulle enroute to Amsterdam or the Hague. Then, take the return from Amsterdam/The Hague to Charles de Gaulle on Friday afternoon where we'll pick you up, and the return to North America on Monday morning. This will save you the cost of travel between Ribeaucourt and Netherlands and is mostly convenient. - plane alternative: fly from America to Netherlands, then take a Amsterdam-Charles-de-Gaulle return ticket from Friday night to Monday morning, and return to America via the Netherlands. This is preferable if you have better rates on a company that flies direct to Netherlands, like KLM, but it should require leaving very early on Monday morning, since departures from Europe to the US are generally in the late morning. - car: the drive from the Hague to Ribeaucourt should be about 5 hours. But most car renters will refuse to let you cross a border with a rented car, thus it is suggested to verify with your car rental company that they could allow you to do that. We'll provide for directions if necessary. http://www.sncf.frJust ask me before commiting the reservation, because you have to almost know the traffic map by heart to be able to choose the fast route.